Government shutdown explainer: Planned Parenthood, sequester loom as issues. Wait, There Could Be Another Government Shutdown Thing? Why? Ted Cruz in Des Moines, Iowa on Aug. 21. The New York Times reported Tuesday that the prospect of another government shutdown “looms” in Washington D.C. as Congress “girds for fights over spending.” Are they for real? Is the Times for real about the potential for another extended Congressional debate that could conceivably end with a government shutdown? Yes. Are they also for real about using the verb “girds”? This looming shutdown—why are we girding for it right now? For one, Tuesday is the first day Congress has been in session since the August recess. For two, there’s the ongoing controversy over Planned Parenthood’s alleged sale of fetal tissue. For three, Ted Cruz. What do a right-wing Texas senator and an abortion controversy have to do with funding the continued operations of the federal government? We’ve been through all of this before, right? Yes, and with Ted Cruz specifically. 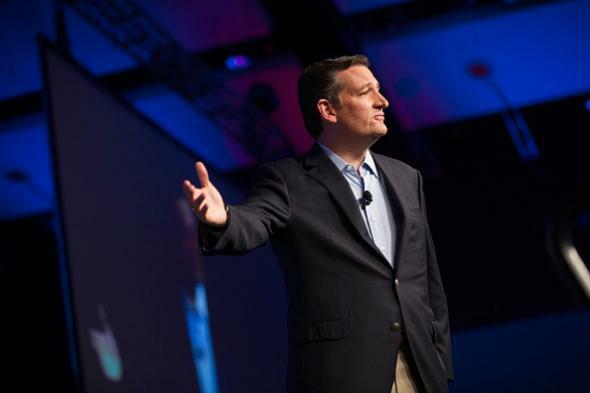 In 2013, Cruz led a group of Congressional Republicans that refused to vote to continue operating the government unless the Affordable Care Act was defunded. In late 2014 and early 2015, conservatives threatened to cut off the Department of Homeland Security’s funding unless President Obama abandoned plans to enact immigration reform through executive action. Not really. In 2013 the White House refused to negotiate over the ACA and after a limited 16-day federal shutdown, a number of Republicans caved and Congress voted to continue funding the government. (According to Gallup, the GOP’s favorability rating sunk to its lowest level since 1992 during the shutdown.) In 2014 and 2015, shutdown advocates never had enough votes to cut off Homeland Security funding and agency operations were never interrupted. So why would the Republicans try doing this again? The party’s leaders would rather not. House speaker John Boehner and Senate majority leader Mitch McConnell have both said they will not allow another shutdown. But Ted Cruz and the Tea Party faction he often speaks on behalf of don’t always do what Boehner and McConnell ask; the shutdown fights are part of what has helped Cruz, who’s now running for president, become a prominent national figure. Moreoever, the threat of a shutdown did induce President Obama and Congressional Democrats to make some compromises during budget negotiations back in 2011. So while a shutdown isn’t expected at this point, discussion of one indeed seems likely to loom o’er us for the next few weeks. Gird yourself. *Correction, Sept. 8, 2015: This post originally misstated that federal funds cannot be used to provide abortion-related services. In most cases federal funds cannot be used to perform abortions, but there are not currently any federal laws or regulations that prohibit funds from being used for counseling services in which abortion is discussed.